Although President Hugo Chavez of Venezuela was solidly re-elected on October 7, 2012, his absence since undergoing cancer surgery in Havana in December raised a constitutional question about the legality of postponing his formal swearing-in on January 10th, the customary date for Venezuelan inaugurations. The opposition, led by the Democratic Unity Coalition (MUD), has invoked one of several possible interpretations of the country’s constitution in an effort to blatantly delegitimize the Chavez administration and it is calling for either new elections or the transfer of executive power to the Speaker of the National Assembly. In Venezuelan democracy, the constitutionally-mandated institution which mainly decides such a constitutional question is the Supreme Court. The Court eventually announced its ruling on January 9th that the delay in the swearing-in of President Chavez for his fourth consecutive term in office was legal. This ruling is consistent with an earlier vote by the National Assembly in order to approve the postponement of Chavez’s inauguration. This means Chavez is President until such a time as the National Assembly determines he is “permanently” absent. Yet the story did not end there. 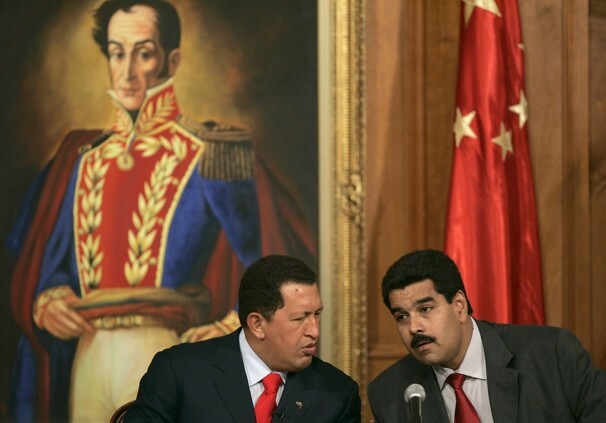 The issue of the resolution of the status of Chavez may soon be aired in the streets of Caracas. What from a distance may look like political polarization over a constitutional question, has its deeper roots in the relentless efforts of an embittered opposition to roll back the Bolivarian revolution, and in the determination of the left to continue to advance its version of “21st century socialism” through demonstratively democratic procedures. MUD and the country’s opposition media have expressed their disagreements with the Supreme Court’s decision and have appealed to the Organization of American States (OAS) to weigh in on the matter. The organization’s Secretary General, José Miguel Insulza said that the organization “fully respects, how could it be otherwise, the decision of the constitutional powers of Venezuela regarding the inauguration of the President of that country. The issue has been resolved by the three branches of government of Venezuela: it was presented by the executive, considered by the legislature and decided by the judiciary.” The Executive Secretary of MUD, Ramon Guillermo Aveledo, called the decision of the OAS “frankly lamentable,” and has decided to bring the issue before the Permanent Council of the OAS as well as Mercosur where it is unlikely to obtain positive traction. There are reasonable grounds for debate among Venezuelan legal experts over how to best interpret the articles of the Venezuelan constitution that are relevant to the postponement of the President’s swearing-in on inauguration day (Article 231, 233, 236 no. 17 and 237). The opposition’s media campaign, however, appears to be chiefly motivated by a struggle for political power and not necessarily constitutional sanctity, for their legal contentions have now morphed into a call for street demonstrations tentatively set for January 23rd. Moreover, in some cases opposition leaders have not only rejected the legitimacy of the actions of the Chavez administration, but of the Supreme Court itself. The pro-government camp has met these opposition challenges by carrying on governmental procedures with as much regularity as possible, which included holding a symbolic inauguration of Hugo Chavez, and by calling on his millions of supporters to mobilize on January 23rd. If the current legal debate in Venezuela is a manifestation of a duel for political power, the resort to popular mobilization by both sides is not to be considered just a show of force. Rather, such manifestation represents attempts by each side to legitimize their position. On January 10th, tens of thousands of Venezuelans and a number of dignitaries from Latin America and the Caribbean took part in a symbolic Presidential inauguration of Hugo Chavez in front of the Miraflores Palace. In a speech to the gathering, Chavez’s chosen successor Vice-President Nicolas Maduro, perhaps alluding to the 2002 short-lived coup against Chavez, urged “those who want to come out and march and shout slogans, can do so, in the framework of the law.” Maduro had a good historic justification for this appeal to moderation, and even a brief digression on the coup of 2002 should make this clear. To generalize and perhaps over-simplify, in 2002, there was an escalating conflict between the vested interests of the traditional elites and their allies on the one hand and the poor and disenfranchised and their allies on the other. This muscular conflict led to an attempt by opponents of the Bolivarian Revolution to remove the democratically elected President, Chavez, and to abolish a constitution that had been hammered out by a democratically-elected constitutional assembly and later ratified by referendum on December 15, 1999. On April 11, 2002, the more militant opponents of Chavez attempted a military coup which later unraveled in the face of a mass Pro-Chavez demonstration and a show of force by Chavez loyalists in the armed forces. This was followed in December 2002 by an opposition call for a general strike and the shutting down of the nation’s all important oil industry. And finally, in August of 2004, opposition leaders tried unsuccessfully to remove Chavez by means of a recall referendum. In each case the Bolivarian project survived and continued to advance its objectives. A decade later the memory of the failed coup and the ideological struggle still colors the political landscape of Venezuela. For this reason, what began as a constitutional question has escalated into a highly charged political contest. Some members of the opposition are now using the constitutional question, despite the ruling of the Supreme Court, to attack the legitimacy of the government. For example, in an interview with Jorge Ramos on Al Punto (published January 13, 2013), key opposition legislator Maria Corina Machado argued that the delay in swearing-in the President is a violation of the constitution and has resulted in “un gobierno usurpado” (an usurped government). There is an element of irony here when one considers that some of the very same players in the opposition who openly supported the 2002 coup that closed down the National Assembly and Supreme Court now portray themselves as guardians of the constitution, a document that they were only too ready to discredit upon the swearing in of their chosen would-be dictator, Pedro Carmona Estanga (then President of Fedecameras), whose term lasted less than two days. The conditions that made the 2002 coup possible have changed somewhat since 2002. The golpista military officers have been retired. The private opposition media no longer has a virtual monopoly on the airwaves. There has been a growing participation of the poor and marginalized in the political life of the country. There is general domestic and international recognition of the free and fair nature of Venezuelan elections. And the OAS and other relatively new regional organizations generally respect the independence and sovereignty of their member nations and largely resolve conflict through mediation. These considerations notwithstanding, there is still a considerable security threat to Venezuela’s democratic revolution. Admittedly the streets can become a dangerous place in such a highly charged political atmosphere. The opposition still retains a number of influential allies in the US Congress and the State Department and there remains significant antipathy between Washington and the Chavez administration. Nevertheless, Venezuelans of all political stripes have shown a proclivity to compete for political power at the ballot box, and this supports the argument that more moderate forces in the opposition will prevail. While the fair-minded might disagree on the ruling by the Venezuelan Supreme Court on this controversial constitutional question, the Court is undeniably the proper venue for deciding the issue. Of course, supreme courts are nowhere sacrosanct and can become complicit in tyranny, but there is no evidence that this is currently the case in Venezuela. Some delay in swearing-in an ailing President could arguably be construed not only as constitutional, but also as reasonable. However, the longer it takes for the National Assembly to make a determination on the ultimate status of the President, the more likely that the necessary mass of political support for such a delay will erode because such rule by proxy is inherently temporary. In any case, Venezuelan democracy and the legitimacy of the state will likely be sustained through the continued exercise of democratic processes and resistance to attacks, both foreign and domestic, on these legitimate if stressful processes. Please accept this article as a free contribution from COHA, but if re-posting, please afford authorial and institutional attribution. Exclusive rights can be negotiated. 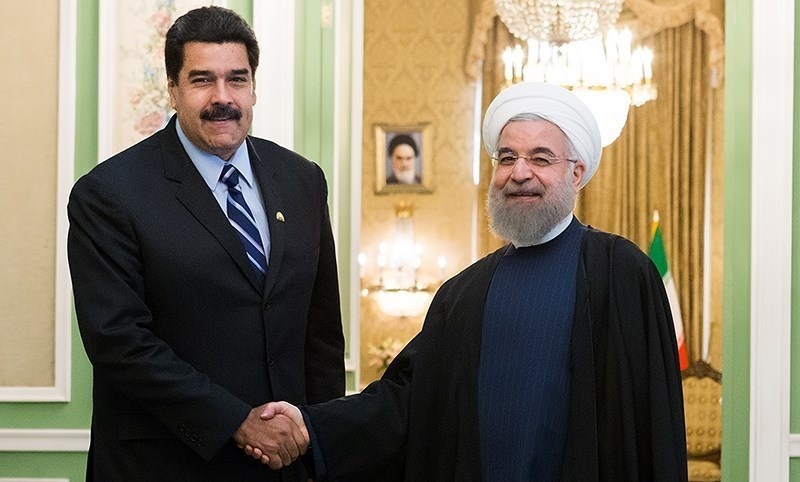 The Iran Doctrine in Latin America: A Threat to Hemispheric Security?